With Virtual Reality technology becoming more and more popular with today's culture in gaming, it was only a matter of time until there were more companies than just Oculus creating VR headsets. Now, Sony has jumped on the wagon and revealed its own VR Headset. Welcome to Project Morpheus. 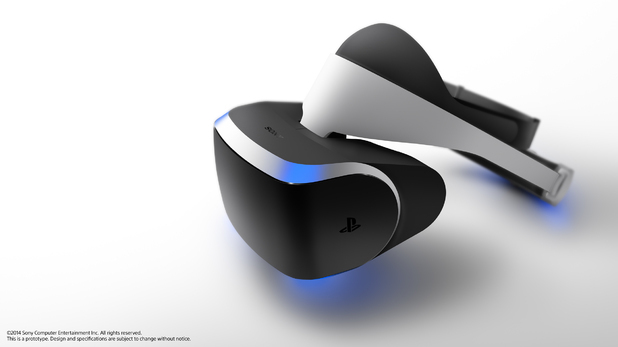 Project Morpheus will be designed for use on Sony's Playstation 4 console; like what the Oculus Rift does for PC. The headset will bring a 1920x1080 resolution with a 90 degree field of view. It will also harness many sensors for head movements (the basic core of the "Virtual Reality") and directional sound, which allows the sound from the games to come from, dependent on where the character is standing in the game, too. Sony has also claimed that the company has been working on Project Morpheus for about three years, which means that the headset should have gone through a lot of testing of the technology within the system to make sure that it won't have defects come release day of the headset. Like the Oculus Rift before hand, the headset will be given to game devs first so they can use the VR technology in their new IPs for the system. No release date has been revealed by the company. What do you guys think of this announcement? A good step forward for VR? I certainly think so.